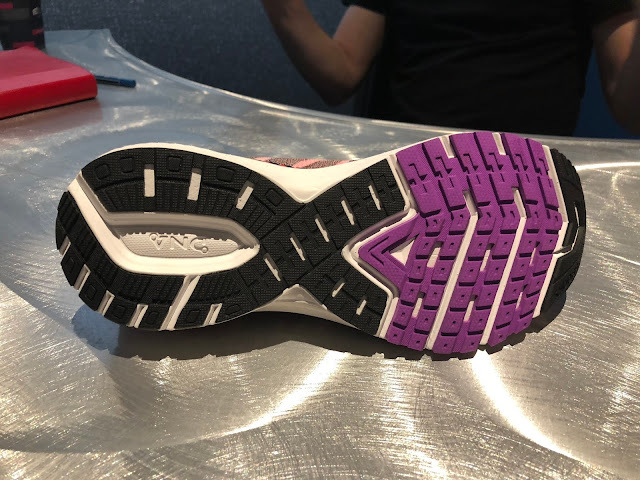 The concept is to not "outsmart" the foot at the arch and underfoot but to guide motion at the calcaneal bone using Guide Rails on both wrapping from near the top of the midsole under foot then up the side of the upper. 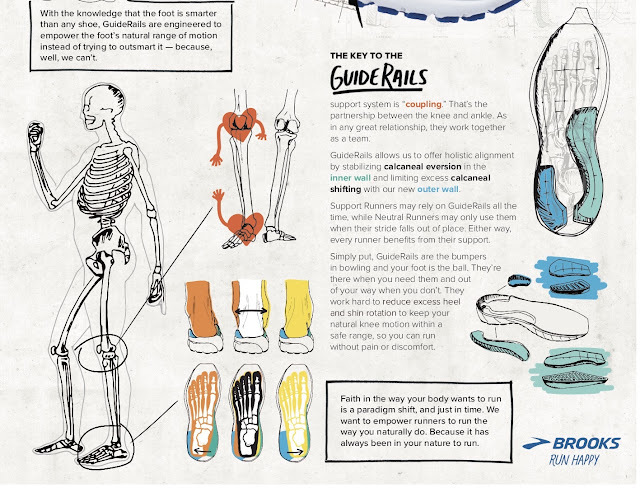 The metaphor used is that Guide Rails are the bumpers in a bowling alley and the foot is the ball. 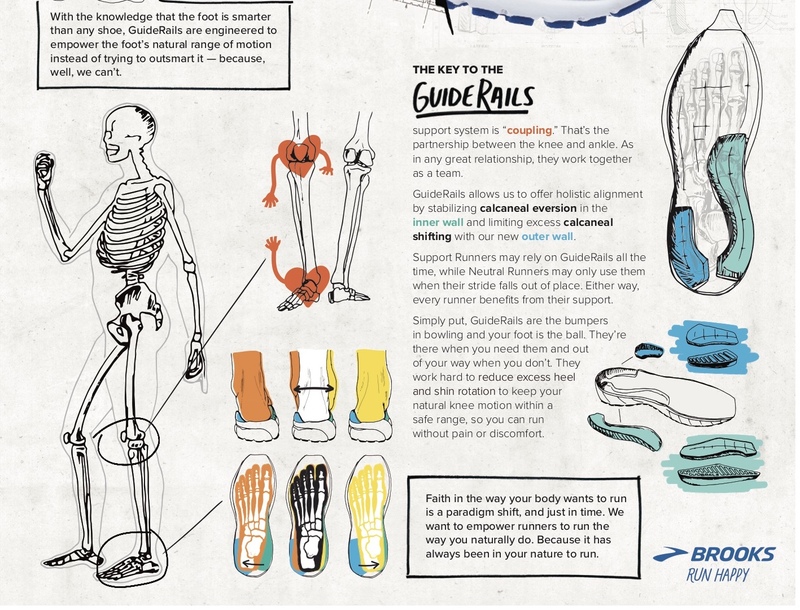 The Guide Rails will come into play, as needed, for both support oriented and neutral runners (as their stride falls out of place). 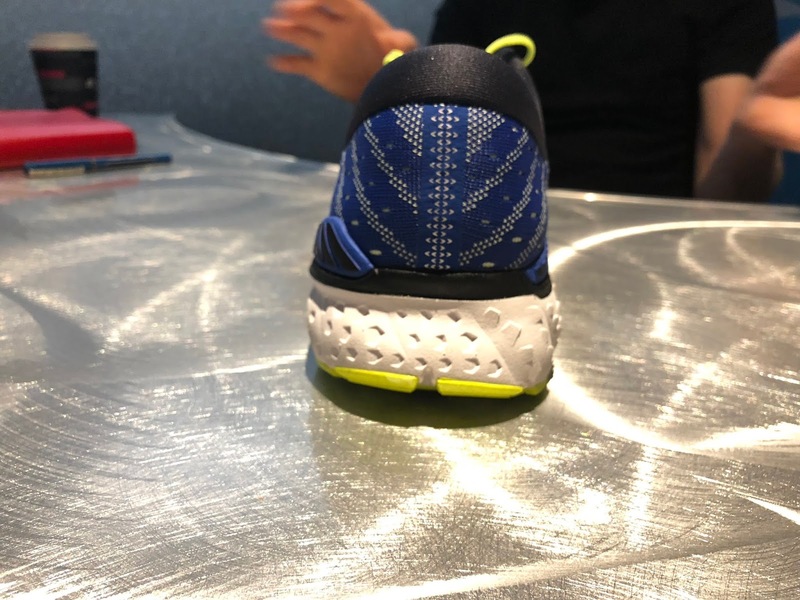 and as the foot rolls outward a smaller rail or wall will limit excess calcaneal shifting which will reduce tibial rotation which can affect the knees. 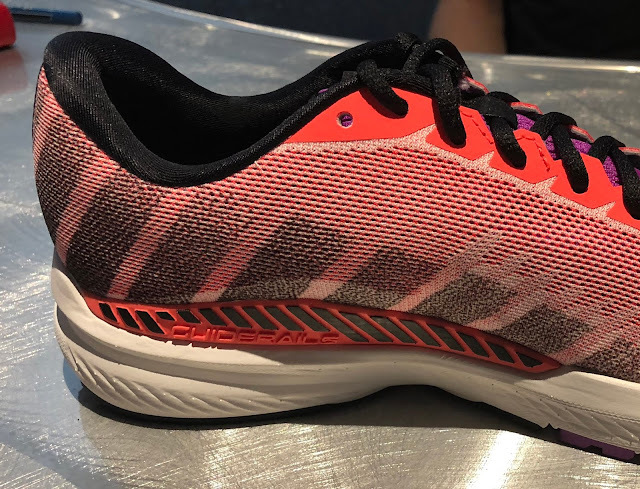 As knees are key, the idea is to limit excess heel and shin rotation to keep your natural knee motion within a safe range thus hopefully allowing less pain and discomfort and also better aligning the gait in a forward path. The concept of rails vs.firm posts it not new as Brooks had earlier version of rails in its Transcend with the Progressive Roll Bar, the Altra Paradigm (RTR review) has rails and recently the adidas Solar Boost (RTR review) came out with a similar concept of pronounced support pieces above the top of the midsole. 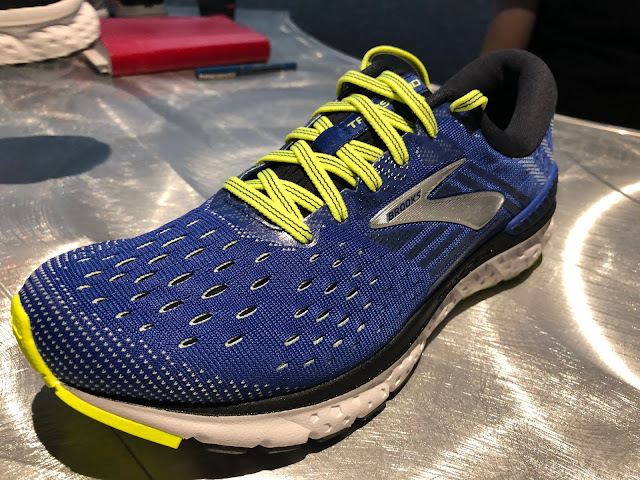 I appreciate a touch of support but can't stand any posting, the very firm chunk of usually gray foam on the inner side towards the instep and heel, so this new approach, particularly in the Ravenna 10 has my attention given the shoe's relatively light sub 10 oz weight, my general range for trainers. 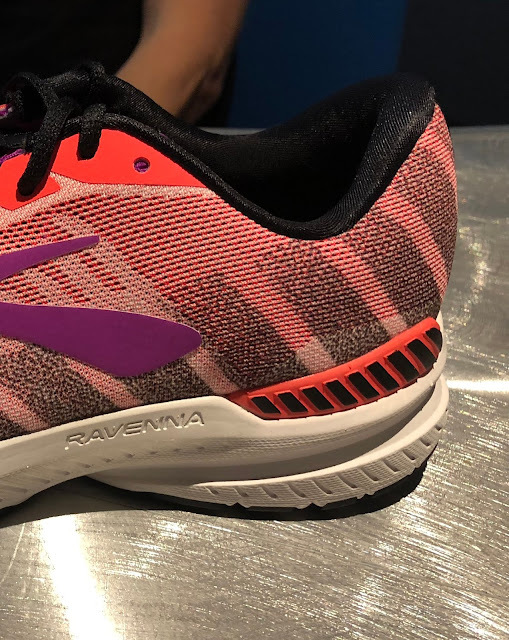 The Ravenna loses the denser medial post round in the fine Ravenna 9 (RTR review) adopting Guide Rails. 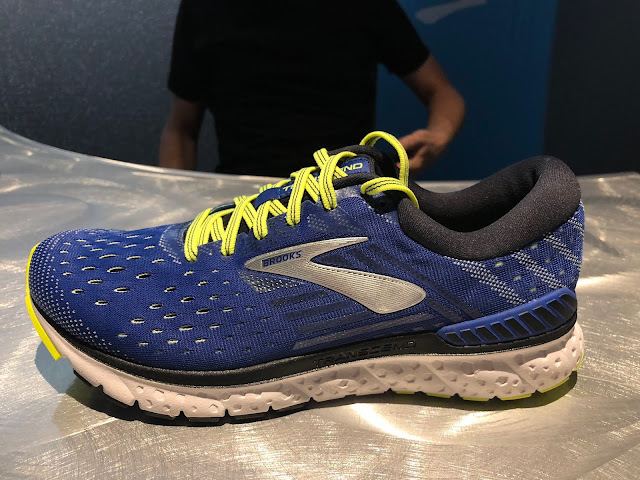 There is new additional foam under the forefoot. 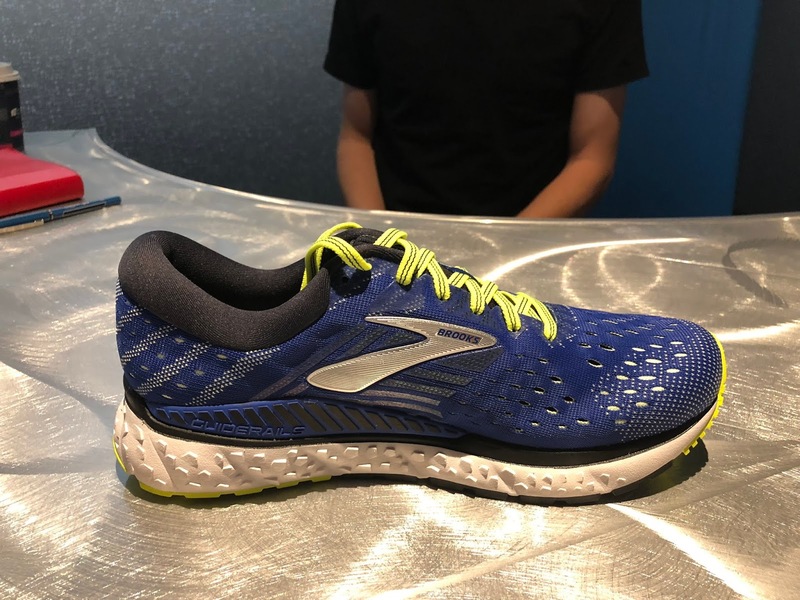 The midsole remains BioMoGo DNA. 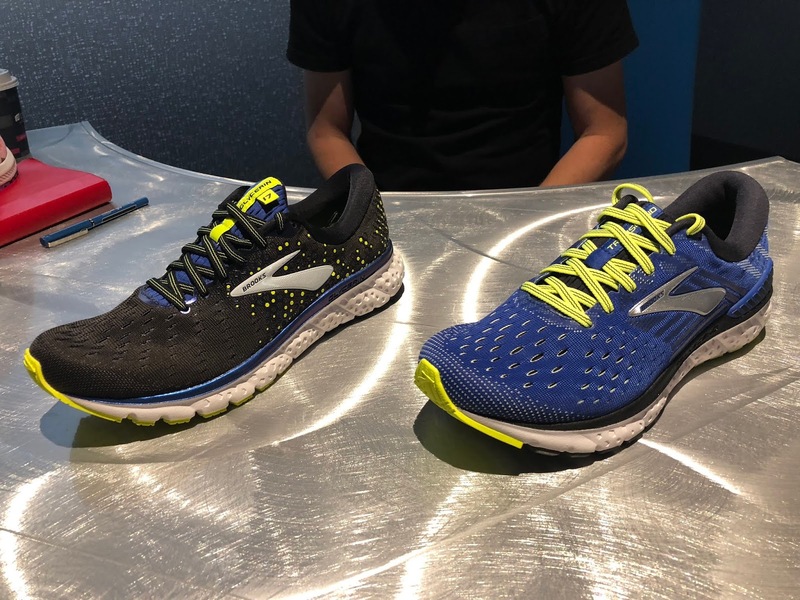 Weight remains nearly identical dropping 0.1 oz. 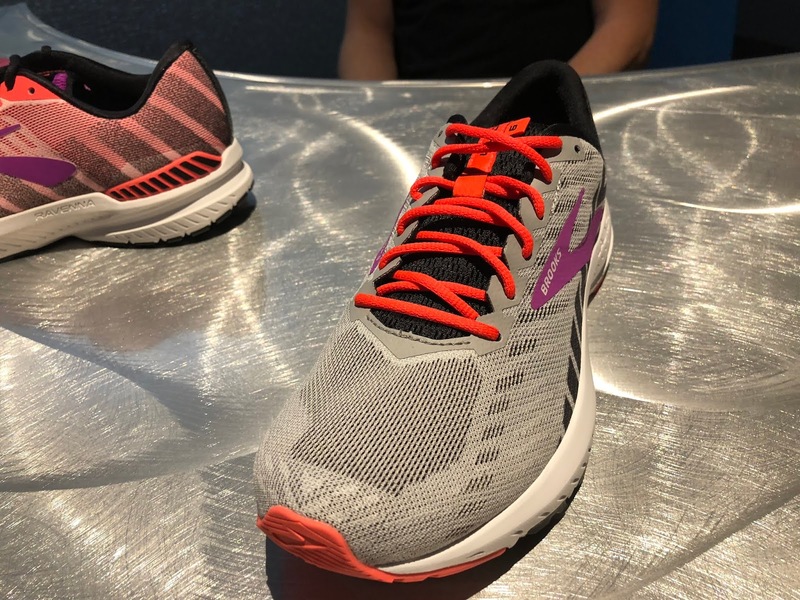 It remains the choice for runners seeking a bit more support than provided by the Launch. 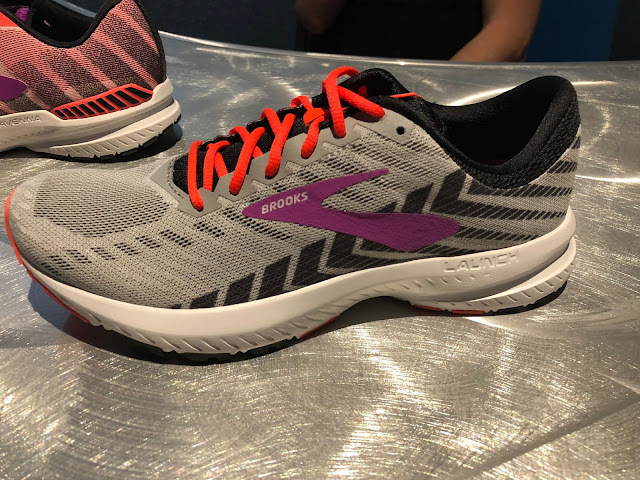 The venerable Adrenaline Brooks key support shoe sees the biggest changes. The medial post/plastic support wall is gone replaced by Guide Rails. 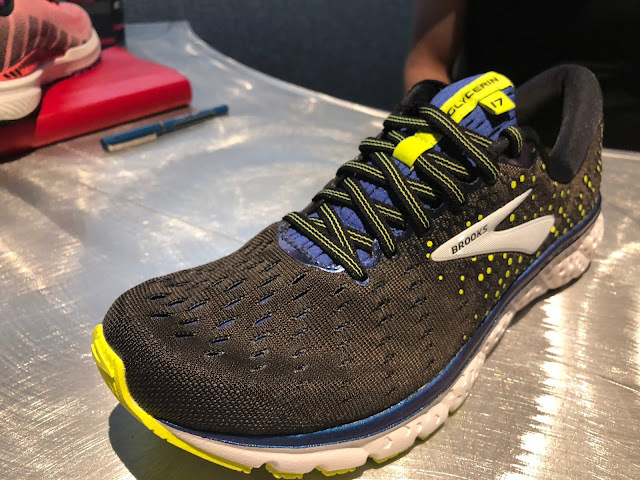 The lateral heel crash pad is Brooks new soft but lively DNA Loft which we liked so much in the Ghost 11 (RTR review) and as the entire midsole of the Glycerin 16 (RTR review). 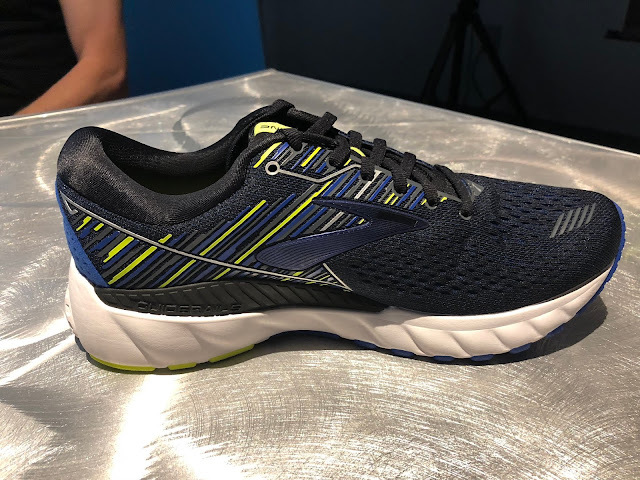 Joining the Glycerin the Transcend 6 gets a full length DNA Loft midsole so we expect a yet softer and livelier ride with near neutral shoe characteristics and would be a choice for Glycerin fans who like a softer DNA Loft ride but want a touch more support. It gains about half an ounce. 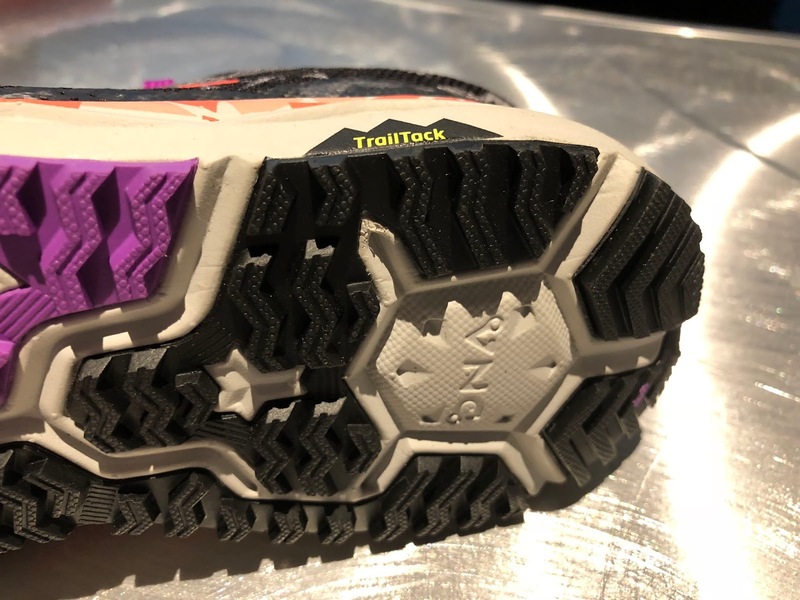 Prior to this spring's roll out of Guide Rails, the Transcend had an earlier versions of Guide Rails and no medial post. 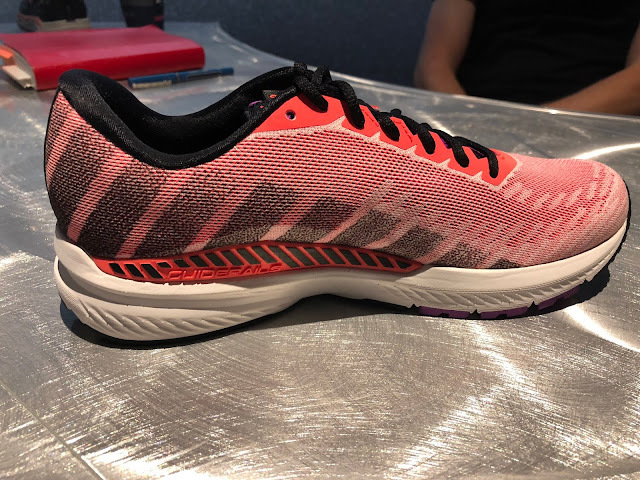 The Transcend has a new double jacquard engineered mesh upper with lots of support and it appears breathability. 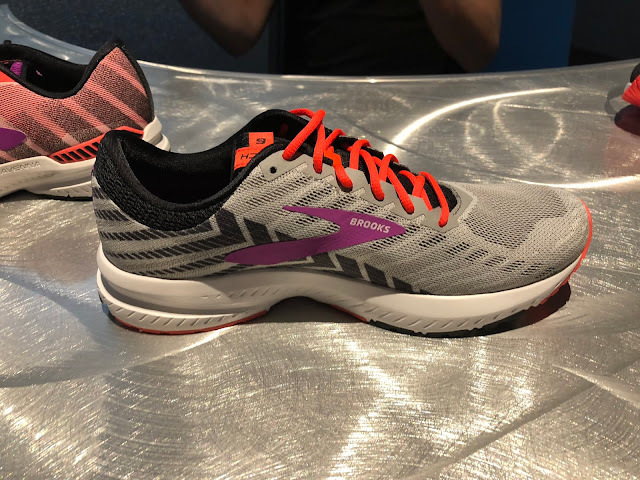 The Launch 5 went astray for us with less than ideal medial mid foot support from its minimal upper over narrow mid foot platform. The Launch 6 has a clearly denser mesh and should improve support. 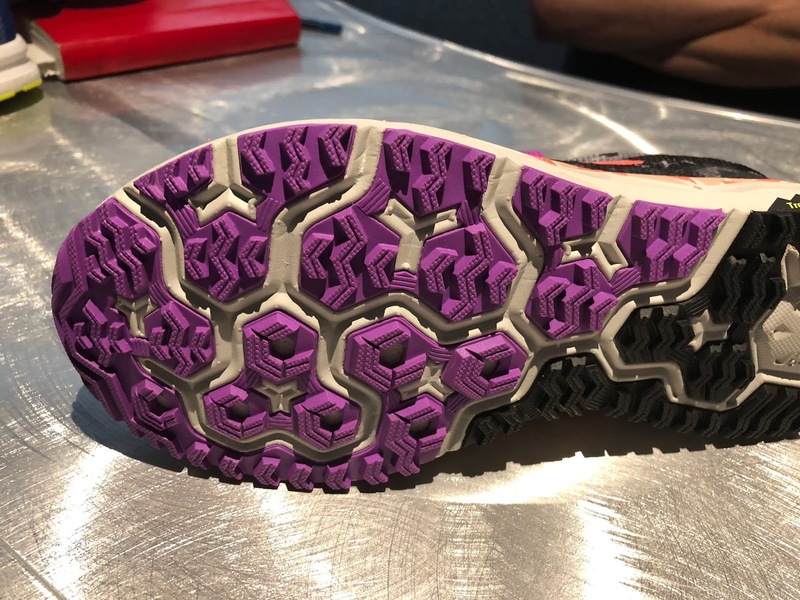 There is additional foam under the forefoot. The weight remains unchanged. The Caldera updates its upper and outsole. Based on official weights it also loses a very solid 0.6 oz. The new upper is called Reoprene and is a perforated closed cell EVA that does not absorb water and drains well. 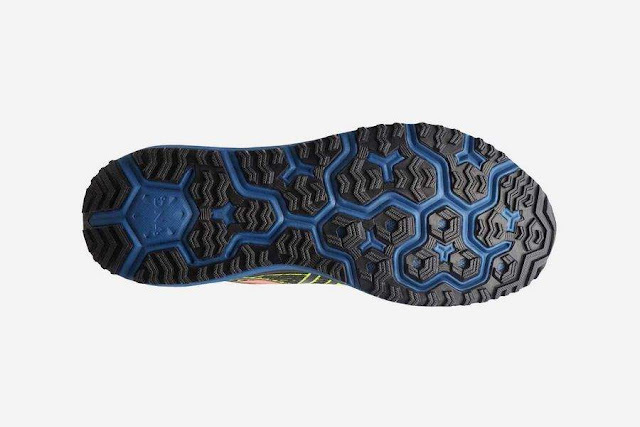 The new TrailTack Rubber outsole is supposed to providing stickier traction on wet and dry trails. Compared to the Caldera 2 (below) the lugs are more aggressive in the their now chevron shaping and appear higher. 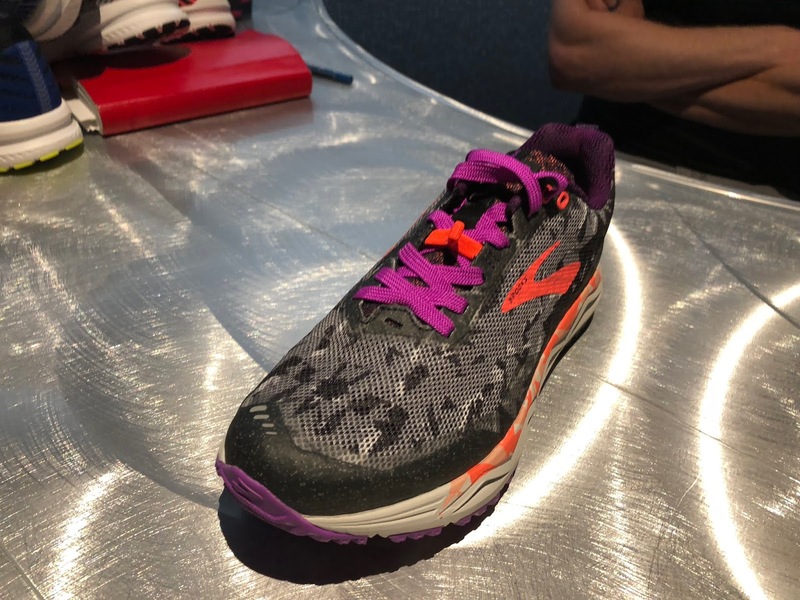 Wow - I know this isn't Project Runway… but man those are some ugly shoes. 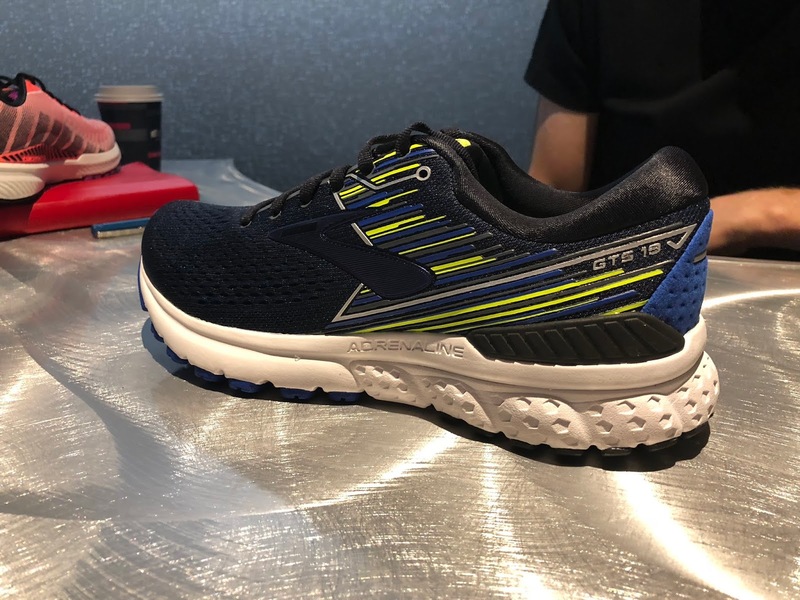 By official catalog weights yes but 10.1 for Adrenaline 18 looks suspect to me. Didn't test so couldn't weigh. Feb 2019 for the Ravenna 10?? Nooooo! I was hoping it would be out by NYC Marathon time. Oh well, I'll just have to burn through another pair of 9's which is a great shoe. 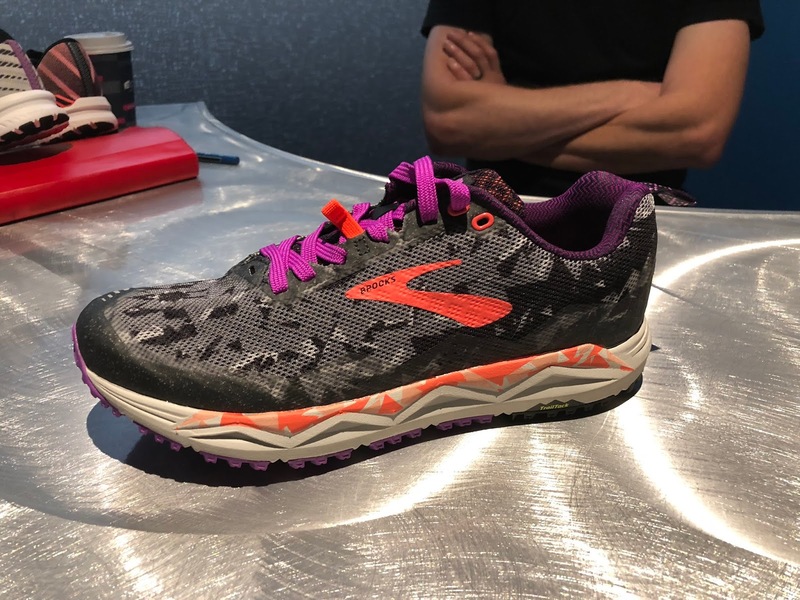 Hey Sam - Is that December 2019 or 2018 on the Caldera 3? Thanks for the catch. 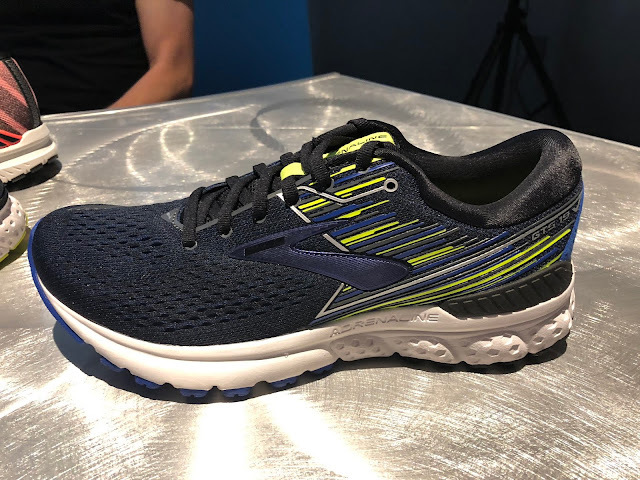 Caldera 3 is December 2018. 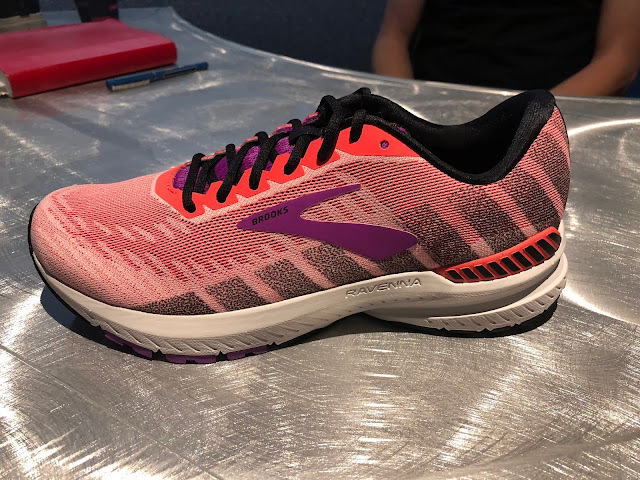 Is it just wishful thinking, or looking at the bottom of the Caldera 2 to the Caldera 3 - has the toe box gotten slightly wider? I don't know why these companies are all starting to get rid of the medial postings. The guide rail systems do not offer nearly the level of support as medial postings and some people need that high level of support. When do you think the Glycerin 2019 will be released? The toe box in Women's shoe is very wide. Just got them yesterday.